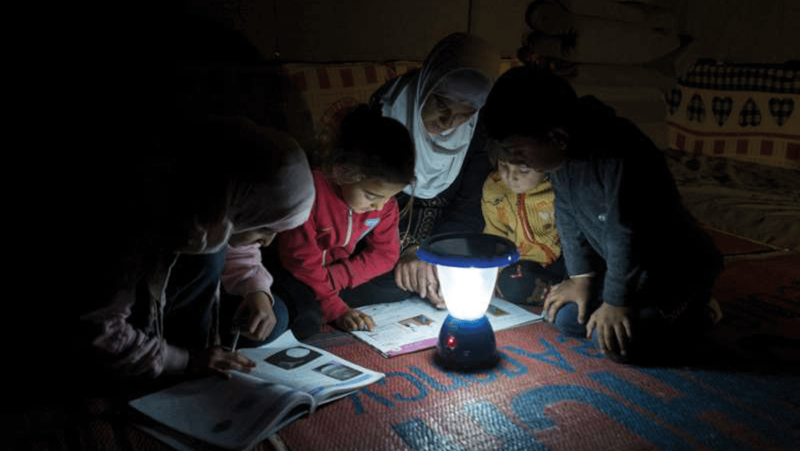 In connection to the Brighter Lives for Refugees campaign, we have donated a total of €30.8 million to help the United Nations Refugee Agency (UNHCR) bring light and renewable energy to refugee camps across Asia, Africa and the Middle East. This has made them safer, better places for the children and families who live in them. Refugee camps can be dark places. Literally. Every year, millions of children and their families are forced to flee their homes because of war, conflict or natural disaster. These refugees find safety and shelter in UNHCR camps. Today, more than 60 million people around the world have been forcibly displaced. While war and persecution are the leading causes forcing people to flee, UNHCR is also increasingly concerned about climate change and related problems that cause displacement, including natural disasters such as droughts and floods, and the scarcity of natural resources. For every lamp or bulb sold during the three campaign periods, the IKEA Foundation donated Є1 to UNHCR. The funds are helping improve access to lighting, renewable energy and primary education in refugee camps across Asia, Africa and the Middle East. Over 284,000 refugees and members of host communities in Ethiopia and Jordan are able to live in greater safety at night, thanks to the provision of more than 56,000 solar lanterns and the installation of 720 solar street lights. Over 37,000 refugee children have been enrolled in primary school in Bangladesh, Chad and Ethiopia, allowing them to continue with their education. In addition, more than 740 teachers have been trained in those countries. Twenty-two biogas plants have been constructed in Bangladesh, allowing for 15% of human waste to be processed and generating green fuel for cooking.